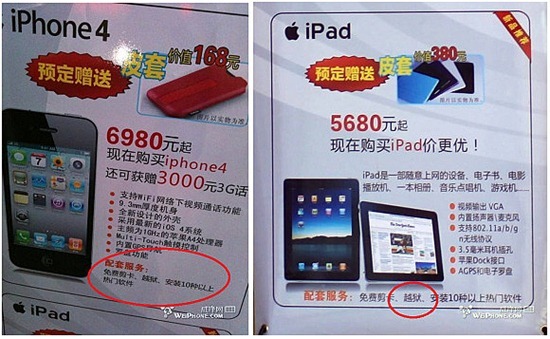 China Unicom Providing Jailbroken iPhone 4 and iPad 3G with free cases. 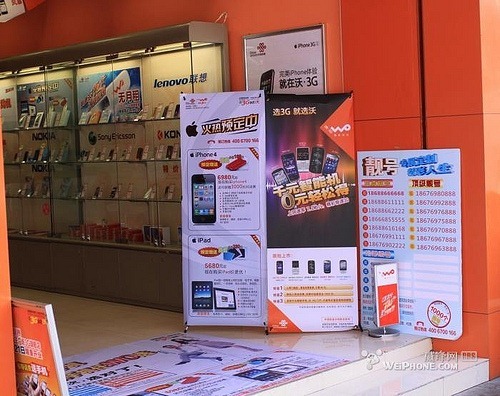 China Unicom is providing Jailbreaked iPhone 4 and iPad 3G, Along with free cases which are provided on the purchase of every iPhone 4 and iPad 3G. Not Enough? Well they are also providing free services which include SIM Card to Micro-SIM converting and 10 most popular apps from Cydia to the buyers. Providing free cases also means that it removes the need for customers to use Apple’s case program and about the Jailbreaked iPhone 4’s, you must keep this thing in mind that iOS 4.0.2 breaks the JailbreakMe.com exploit so we are still unaware of how these phones are jailbreaked.